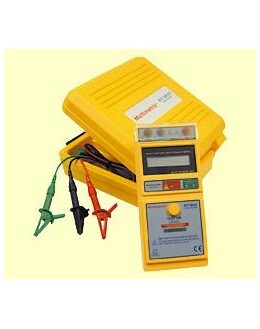 - Control of the bonding metal. 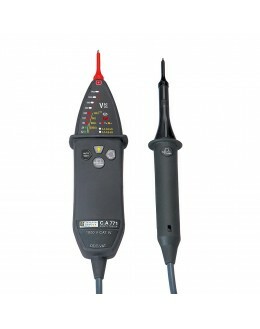 Comes complete with probe cord extension 7 m and instructions for use, without case. Control of metal bonding with the probe extension cord safety of 7 m.
Meter and controller used on the socket 2P + T 10/16 A or LV electrical circuits single phase 230 V between phase and neutral. The measurement of earth resistance, conducted by this unit, based on the measurement principle known as "fault loop. 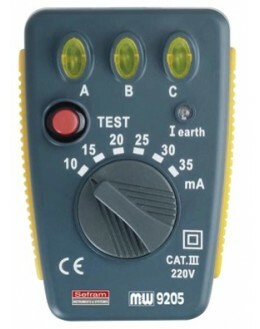 The control voltage present "230 V, is indicated by a blue display indicator 230 V (Fig. 1) on the LCD. Non-compliance of the network as a connection between phases or 400 V is marked with red display of the LCD and specific indications (Fig. 2). making displayed on the LCD. Red display with a specific indication in the absence of land. 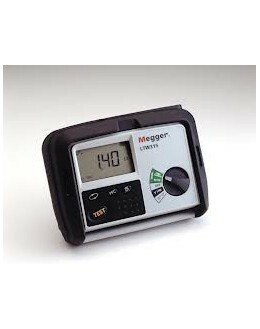 The measurement is done with an accuracy of + / - (3% + 1 digit) on pure strength, range 000-200 ohms at 23 ° C + / - 5 ° C.
An extension cord to 7 m long, housed in a reel, is connected to the controller. The probe used to check bonding metallic sound. A 0.80 m boom attachment facilitates contact remotely (ceiling ...). - Extension of the reel (dimensions: Ø 105 x 62 mm). 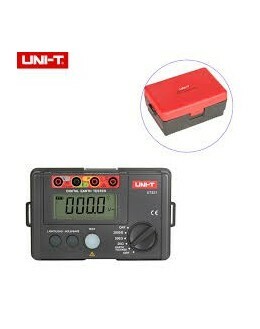 Operating voltage: 230 V -10 / +6% - TT. Operating temperature: - 15 ° C + 45 ° C.
Storage temperature: - 25 ° C + 70 ° C.
Continuity resistance taken into account: 2 Ohms.